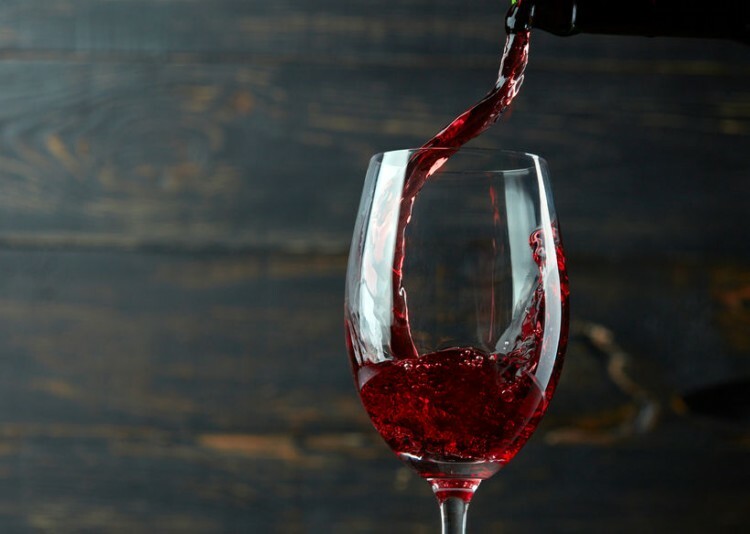 If you’re a wine enthusiast who doesn’t like spending too much money on a bottle of wine, then you should definitely take a look at our list of the best cheap red wines under $10. What better way to greet the beginning of an upcoming weekend than with a glass of wine in your hand? There is certainly something magical in that moment when you come home from work on a Friday night and you pop open the cork. Even the sound alone when opening a bottle of wine helps us relax, knowing that a hard week is behind us and we have a whole weekend to look forward to. Whether you prefer red or white wine, something about it makes you really sit back and cherish the moment when sipping your wine from a tall, shiny glass. Wine is not something you drink fast, it’s something you sip slowly enjoying every moment of it. When you think about it, wine plays an important role in our society today, and it’s become a must at social gatherings and Sunday lunch parties. But there is so much more to wine drinking that simply enjoying a dinner party with friends. Have you ever wondered about long term effects of drinking wine? We know that drinking alcohol is not a great choice as it affects our health a great deal and causes many diseases, and we strongly recommend moderate drinking. But, detailed studies conducted show that wine drinking actually has many health benefits. You have probably heard of some good sides of drinking an occasional glass of wine, such as helping us live longer and preventing heart-related diseases. Apparently, wine drinkers have a lower mortality rate than those who prefer beer, at least according to Food&Wine. Most of these studies refer to red wine because it contains resveratrol, an ingredient not found in white grapes. Also, moderate drinkers can prevent type 2 diabetes by drinking a glass of wine from time to time, and there is a lower risk of getting a stroke as well. Of course, needless to mention that in order for a wine to have an effect when it comes to preventing these diseases, one must drink moderately. So if you’re a heavy wine drinker then I don’t think you should rely on these studies to justify your drinking. Perhaps one of the best things about wine is that it helps our brain remain sharp for a longer time. If you didn’t already like wine, what better a reason to switch from beer to this magnificent drink than this? Unless you absolutely can’t stand wine, in that case, check out our list of the Best Red Wines for People Who Don’t Like Wine. There are countless other benefits of drinking wine that you may or may not be aware of. But, good wines can be pricey and we can’t always afford an expensive bottle of wine. Cheap, store-bought wines are often the choice of many of us, due to their affordable prices and mild, enjoyable taste. And contrary to the common opinion, not all cheap wines are bad. In fact, some of them are very good. There is also the matter of taste too. Some people may prefer mild supermarket wines, however weird that may sound. I’ve tasted many cheap red wines that I actually preferred compared to expensive ones. So this was my starting point when coming up with this list. What are some good tasting red wines that don’t leave our wallets empty and still provide the same wonderful feeling? If you have wondered where to find them, then you’ve come to the right place. We did a research looking for good but cheap red wines all over the world and you’d be surprised at what we found. It’s almost unbelievable how many great wines out there cost only a few dollars and yet they provide the same pleasure as drinking an expensive bottle of wine. We used Wine Folly as our guide to establish a basis and learn a little bit more on cheap wines and where to find them. Then we found the best red wines that are relatively affordable on Food&Wine and Express, and we came up with a list. We compared comments on each of them and came up with a list that will amaze all wine lovers who like to save a few dollars when shopping. Prepare to be amazed (as were we) when you take a look at our list of 15 best cheap red wines under $10.